The internet has now grown to the point at which it transmits trillions of bits of information every second. Furthermore, it is estimated to be capable of growing by at least a fifth of its current size every year. In order to sustain this global data behemoth, which has become so important to so many people, technology must keep evolving and improving. 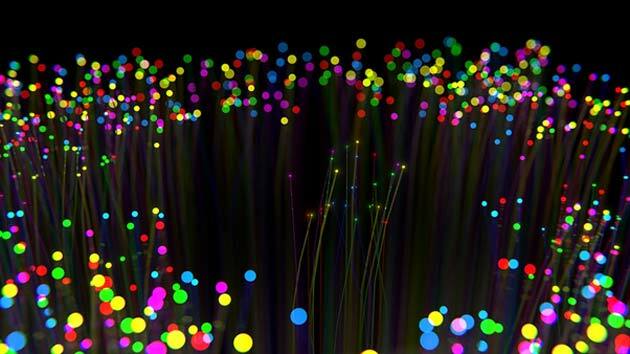 An example of equipment that needs updating is fiber optics, which typically works by sending light in the form of lasers through a cable, and this represents the data being sent back and forth over the internet. The laser sources or channels must be mounted in parallel at one end of the cable. This keeps the data flowing at the volume and speeds (i.e., the bandwidth) necessary for high-end internet connections. However, some researchers argue that this parallel-optics strategy is inefficient in terms of power consumption. They suggest a single energy source split into multiple streams, manifesting as different data at the other end, within the cable. This could be more energy-efficient and may also have the potential to optimize bandwidth and channel count. The components that allow for splitting are known as combs. They are a type of semiconductor or a resonator chip that split pulsed light (delivered to the chip in a manner termed pump power; measured in watts) into various spectra at different frequencies. Scientists have developed complex versions of these combs that offer a 100-nanometer bandwidth, associated with over 1800 different spectra, in response to a pulse frequency of over 6 gigahertz (GHz). This emerging technology, which is known as ultra-dense parametric combing, can offer multiplexed channels in thousands of units called Nyquist. The combs are also compatible with conventional fiber-optic cables and can deliver a total aggregate capacity of over 30 terabits per second (Tb/s). This translates to as much as 30 gigabits per second (Gb/s) for each user connected to the cable. The achievement, also known as frequency synthesis, was described in the Journal of Lightwave Technology in 2015. However, researchers have been working on new combs with even greater data-transmission capacities since then. A recent example was documented in an article printed in Nature Photonics. The authors claim that a cable equipped with their comb can deliver as much as just over twenty times the capacity of the 2015 chip, in response to light pulsed at only 85 milliwatts (mW). The system does this through the formulation of its chip material: aluminum gallium arsenide (AlGaAs), laid down on an insulating material. This new form of comb achieves the bit-rate, as described in the study, due to its unprecedentedly high pump power-to-spectrum conversion ratio (66%). The comb does this in response to a pump frequency of 10GHz. Therefore, the authors have indicated that their new combing system is exceptionally energy-efficient while capable of next-generation data-transfer demands. 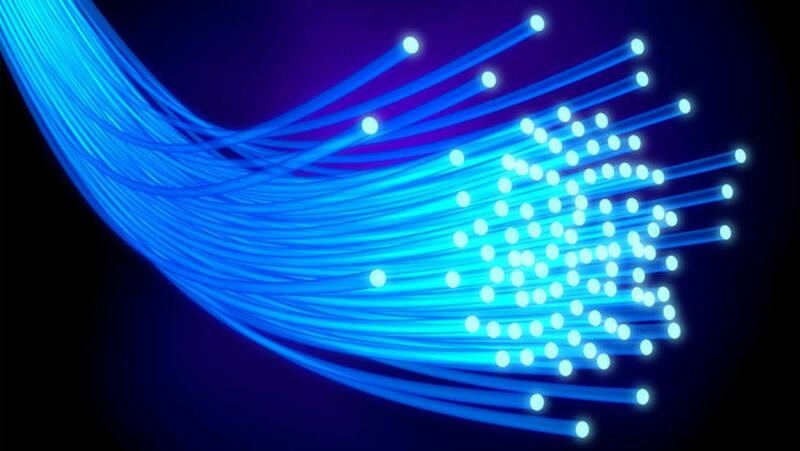 The system was also mounted onto a conventional 30-core optical fiber for the purpose of this research. The scientists noted that it could transmit up to 661 Tb/s, a figure that exceeds all the traffic moving through the internet of today! The paper’s authors also argue that their new comb can be integrated into fiber optic technology alongside other typical modern-day components (e.g., amplifiers). Furthermore, AlGaA is a semiconductor that may be amenable to manufacturing techniques available today. Presuming that the success of this new comb type can be verified and reproduced, the people of the future may not have to worry about having internet technology that can keep up with their high-volume demands. V. Ataie, et al. (2015) Ultrahigh Count Coherent WDM Channels Transmission Using Optical Parametric Comb-Based Frequency Synthesizer. Journal of Lightwave Technology. 33:(3). pp.694-699. H. Hu, et al. (2018) Single-source chip-based frequency comb enabling extreme parallel data transmission. Nature Photonics. 12:(8). pp.469-473.